As businesses succeed, many will rapidly grow both their customers and employee teams. This rapid growth can quickly lead to an overwhelming amount of data — data which needs to be organized and protected. Today, protecting employee and customer data is a fundamental part of managing any successful business. Understanding your full responsibility under cybersecurity regulations and laws is no longer optional, and must be treated as a priority. 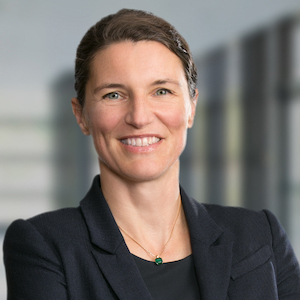 In this TIGER Talk, Christina Hultsch of Porter Wright will provide the context of domestic and foreign cybersecurity laws and share best practices. She will also walk through data protection compliance requirements, the latest developments from the Ohio Data Protection Act, and the effect of the EU General Data Protection Regulation (GDPR) on U.S. businesses. Christina is chair of the firm’s Health Care Practice Group and a member of the International Business Practice Group. Christina also advises clients on cyber-security risks and assists in addressing security incidents, ransomware attacks and post-breach response. Christina has significant experience in the negotiation of a broad range of health care agreements, including IT and software purchases for all types of health care entities. She also frequently advises hospitals, physicians, health care joint ventures, ancillary providers and their boards on health care matters such as fraud and abuse compliance, mergers, acquisitions, divestitures, joint ventures, alliances, formation, financing, criminal investigations, audit responses, business contracts, Medicare, Medicaid and third-party reimbursement matters, shared savings and other payment models, software licensing, HIPAA/HITECH and state data privacy compliance, productivity compensation methodologies and clinically integrated networks. A native of Germany, Christina practices fluently in English and German. This event has passed so registration is closed.